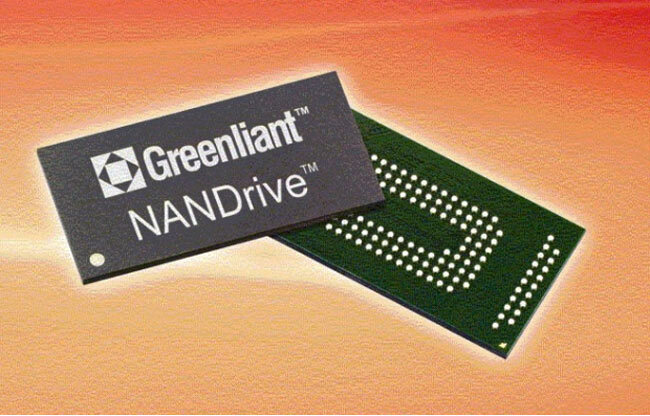 Santa Clara, California based company Greenliant have unveiled the worlds very first industrial-grade single package SATA SSD that is now available in 2GB, 4GB, and 8GB capacities. Its also the industries smallest SSD measuring just 14mm x 24mm x 1.85mm in size. The new NANDrive flash drive has been designed for medical equipment and combines a SATA controller with SLC NAND flash drive for a fully integrated SSD in a multi-chip package. Designed to operate at temperatures ranging from -40°C to 85°C, and being resistant to shock, vibration and humidity, it suits demanding industrial applications. The new NANDrives are capable of speeds up to 39MB/s (write) and 50MB/s (read).